Wanted to wait till March 13 when the New League Year and Free Agency begins but things are happening too quickly to wait.. BREAKING: The Buffalo Bills just traded for Steelers WR Antonio Brown! But will he be too toxic a player for the team? Guess we'll see..
And Case Keenam will be traded from the Broncos to the Skins for only a 6th round pickas Joe Flaco was traded to the Broncos from the Ravens earlier..
Welp I guess he is.. The Bills neared a trade last night for WR Antonio Brown, who would not commit to showing up in Buffalo. The organization did speak with agent Drew Rosenhaus. This morning, Buffalo says they are out, amid uncertainty. Steelers are back to square one again. So I guess the Giants are just giving up and going after draft picks now, what a mess of a team. Does that ever work in the NFL? I think that's one of the reasons the Panthers got rid of Gettleman..
Panthers preseason schedule has been released..
Every game. For every NFL team. All in one place. 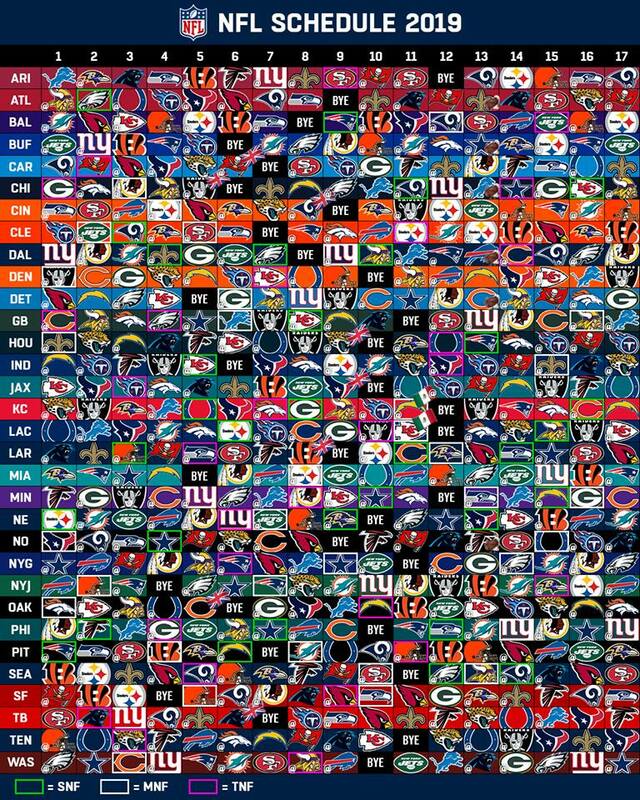 The 2019 NFL Schedule is HERE!